After you have marked multiple products ready to order from a project, you can revisit this list and create purchase orders from them. In the orders area of the D-Tools Cloud application, you will see two tabs in this view: Purchase Orders & Ready to be Ordered. In the Ready to be Ordered tab, you will see a list of all the products ready to be ordered. 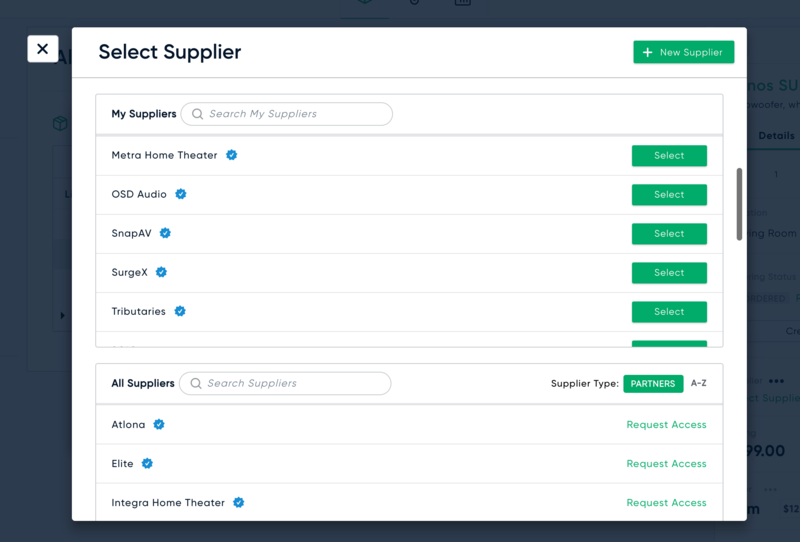 From this list you can filter by project, supplier, & category, search, and create purchase orders. You may want to filter by a specific supplier or category for products you want to order. On the left, you will see these filters and the right will reflect the filtered view. After you have selected the products you want to order, you will select the "Create Purchase Orders for Selected" button. If you just want to order all, you can click the 'Create POs for All' button. In order for a product to go in a purchase order, there must be a supplier on the product. So you will be prompted to select a supplier for any products without suppliers. Any products without suppliers will be ignored. 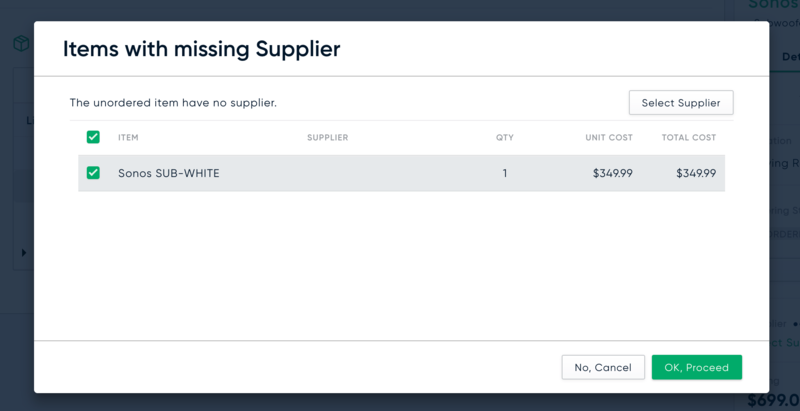 Select the product(s) you want to add a supplier for. If a draft purchase order already exists for this supplier, you will be asked if you would like to add to an existing or create a new purchase order. Either select the New option to create a new PO, or select the add to existing and select the PO you want to add to. 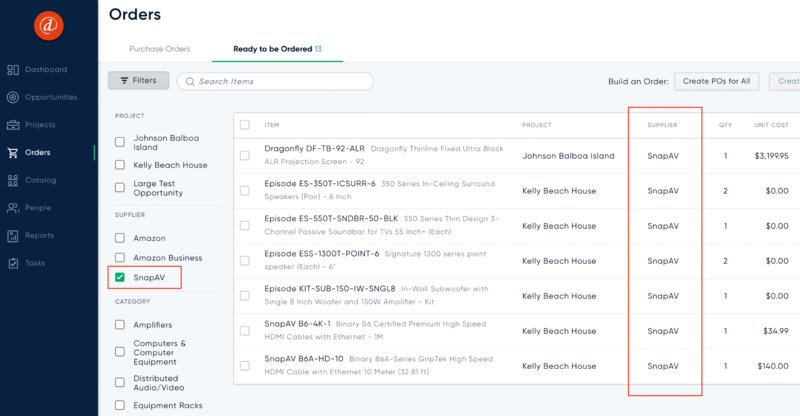 Because D-Tools know the supplier you have connected to your products, you can select the products you want to order and D-Tools Cloud will automatically sort the products into purchase orders based on the supplier.